A thorough post on the use of the Septuagint in Ephesians here. I do not agree with the way the conclusions are expressed but perhaps it depends on how I read new in the phrase new Israel. Later in the post he expresses the incorporation image somewhat better. the terms Χριστω and ηγαπημενος are used as incorporating (ἐν) terms. Regarding the former, N.T. Wright says, “I suggest, in other words, that Paul uses ‘Christ’ here as a shorthand way of referring to that unity and completeness, and mutual participation, which belongs to the church that is found ‘in Christ’, that is, in fact, the people of the Messiah” (Climax of the Covenant, 54; cf. 46). God has left himself a reliable witness among the people he has called and gifted at various times and in various ways. Jim Gordon liked the King's Speech for some beautifully expressed reasons. Jim has heard rightly. John raises the question "Whether the scriptures are heard rightly, of course, is a separate question.". When I read about careful argumentative reasoning, I wonder what is being heard. True though that many do not understand what I write. Understanding me is neither the problem nor the solution. I am / we are in the realm that belongs to a discourse based on something other than precision or accuracy. There is meaning to be sure, but not one that improves on the good that is its foundation in knowledge in the holiness that is in God and that was demonstrated in the flesh in the death and resurrection of the anointed Jesus. Christ as a shorthand is a nice idea. Thank you NTW. I am working on both psalms 6 and 38 concurrently. I have no doubt who arranged it. 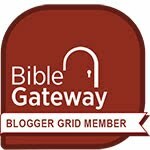 At my disciplined blog here I have posted my notes over the past two weeks on the first five psalms. If you care to give critical feedback, I will appreciate it. My daughter says, just because you can do it doesn't mean you should. While researching for the why question in why bother with yet another book on the psalms, I came across this conversation that certainly underlines the reason. People ask me – so what's unique about your book on the psalms? Why would I be interested? Perhaps there is no reason a person might be interested except desperation. But it is not likely that any writing of mine would cure the desperation of self-reflection that has created the human religious outlook. I come to the Psalter as have a long list of people with prior experience and conviction. But it is only in the Psalter that I found an articulation of what forms me in relationship to myself and others in the covenant of mercy. I see this as formation by the God who made the heavens and the earth. That of course remains a matter of faith. In this case, I stress matter, for faith makes things happen in the world of our material investigation even if they seem invisible, unmeasurable, or unrepeatable. A most obvious example of this is the human response to shame and forgiveness. Shame and forgiveness are human experience. The psalms show us where we should be ashamed and how such a healthy conscience should also apply to those we consider our enemies. But my book is not a psychology book. I came to the Psalter because it is the book that represents the conversation between the Father and the Son in the epistle of the Hebrews. This theological truth is too much to ignore. I read the psalms in Hebrew, a language I started to learn at age 60. Clearly this does not make me a lifelong expert. But this book has two unique features that show what I would have liked to have in my hands in the early stages of my learning. The first is that the text is not set out in an amorphous block. As far as possible in English and Hebrew I have tried to show the conceptual and prosodic form of the poems. The second is that I treat the Psalter as a whole and label each psalm with the words that are first used as a frame in that poem when the book is read in sequence. I remain with the Psalter because it continues to teach me. As a result, what is in my book will be suggestive rather than complete or definitive. My words should always be taken with the grain of salt that is the word in the psalms. My uniqueness may also apply to the mistakes I can make. The book is in process with a scheduled completion in two years. You can follow my sample chapters at the Poetry of Christ blog. Doug Chaplin has a fine summary of Romans in its own context. Jim Gordon as usual has an image of beauty. The now real Velveteen Rabbi has as usual a brilliant poem that rouses nostalgia in me. At the Poetry of Christ, in tandem with what I correct or replace on this blog, I will be writing about each psalm in sequence, attempting to tell the story of the book from the point of view of what I have theorized is the purpose of the Psalter: the formation of a people. I also am among those formed and being formed willingly by the tradition of the psalms. Perhaps this series, which I will schedule over a two year period, will help awaken me further to the responsibility of being so formed in such a community. At roughly 2500 verses, 3 verses a day gets through the body of verses in two years. So some weeks will see 3 posts and some 1 and some will be divided into several. Psalm 119, which I have posted on already, in the letter by letter series, will be posted as if it were 22 psalms. I will continue blogging on other subjects here after the manner of blogging. The new blog will confine itself to this single subject, and will reference the text here as I reform it. The editor of the book of Job had a similar concern when he added the prologue and epilogue to the poem of Job with an altogether different theology. If a book has a different theology, does it follow that it has a different God? I have to admit, I do not read psalm 1 or Job as a plea for obeying the written law. No amount of figuring out can arrive at the place of faith. Poetry is a response, not a command. If anything, it undermines a simplistic interpretations of commands. The Law, as Fishbane points out contains 'frequent lacunae or ambiguities' rendering such laws 'exceedingly problematic - if not functionally inoperative - without interpretation' (p 92). The poems of Job and the psalms are not at all for that kind of legal obedience, but their joy comes from the obedience of faith whereby the receiver of gifts is able to articulate a poetic response with theology that does not differ from one to the other. Both of these look like stuff that will teach me things I am struggling to say from within my cocoon. Some day I will get back to blogging. I am enjoying the writing offline and now I am the point where I need some super vision. Perhaps I will find some. At the moment some of my emerging pdfs are on http://poetryofchrist.blogspot.com/ a place which I will use for writing rather than for blogging. You can blog spontaneously, but you cannot book spontaneously. Booking requires long and difficult thought. Like the Bible, it is subject to inner book exegesis as Fishbane describes. Circumcision is still practiced in Islam, in cultures, even Roman Catholic, in the Philippines and for medical reasons, and of course within Judaism. The first two on this list have the action performed at or near puberty. The last which is first has the action performed at 8 days of age. And some medical circumcisions may be performed as was Abraham's in one's nineties. I have written on this subject in a number of story segments. My reconstruction of a first century circumcision ceremony is heavily dependent on Lawrence Hoffman's book Covenant of Blood, a book I recommend highly. – You cannot make two into one. – I don't have to. It's already done. One is that has made us one in him. – Can we then make two where there was one? Experimental Theology engages in pizza math. The Velveteen Rabbi has become real. Henry comments on the appeal of 'real' orthodox liturgies. My blog got a blocked message by Google for listing a link to a blog that may have had malware on it - it looks like an attack on the subject blog since the author is a known critic of bad reading and oversimplified theology. I have removed my blog list until I find out more. ... for us, Beloved, the invisible Temple Builder in one action has replaced the violence of all cults. There's a word in the text of psalm 61:8 that Michael Fishbane (Biblical Interpretation in Ancient Israel) suggests is a scribal acronym about the spelling of preserve. The transcription made me laugh as I tried to express it in translation. [Full spelling v8 (Fishbane p 61) מַן min = מָלֵא נן male nun] Here the scribal comment on spelling has become part of the received text! I haven't been posting much but I have been reading and correcting many broken links due to a move of my old subdomain. Also I have added several music links (particularly those claiming to perform as intended by the chironomy of the te-amim according to the work of Suzanne Haik Vantoura) to the psalms pages and while I am writing offline, I am also sporadically updating my psalm translations.